The Roofline Replacement Company Limited is a long established, family-run home improvement business based in Leicester. They specialise in installing and repairing the roofline of properties in Leicestershire, namely fascias, soffits and guttering. They also offer a number of other home improvement solutions such as new conservatories and orangeries, uPVC windows and doors, and are approved installers of the Guardian Warm Roof. We offer domestic, commercial & industrial roofing services along with being specialists in Collyweston Roofing in Lincolnshire, Rutland, Leicestershire, Northamptonshire & Cambridgeshire. 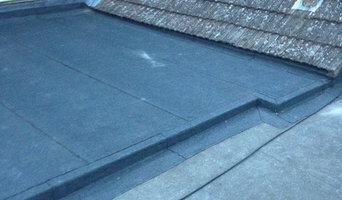 We are renown for our quality work using Collyweston Slate and Lead roofing. Pasquill Ltd are the UK's number 1 supplier of trussed roofing solutions. Our unrivaled network of design and manufacturing sites provide nationwide coverage with local knowledge and service. We manufacture stock and sell a full range of innovative solutions including trusses, I Joists, Posi Joists, Panelised Roof Systems, Cassette floors, Spandrel Panels and Glulam. 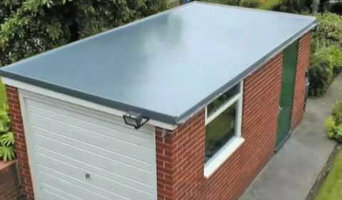 Guardian Roofs UK are the only approved manufacturer and supplier of the Guardian Roof. With a nationwide network of installers and fabricators, you can get an official tiled conservatory roof wherever you are based. There is a range of Roof styles and tiling options to choose from as you turn your conservatory into an extension. JTC Roofing has garnered a stellar reputation as one of the UK’s leading metal roofing specialists. Our talented team of roofers work with lead, copper, zinc and steel to design and install commercial, domestic and industrial roofs across the country. Tailoring our work to meet your requirements, we ensure precise and efficient workmanship to deliver an attractive finished product that enhances your property's exterior. This includes any maintenance or repair work you require, as well as the installation of domestic metal roofline materials including: guttering, cladding, and soffits and fascias. Our metal roofing service is truly a comprehensive one; in addition to new build installations, we are also proud to have been contracted to carry out numerous restorative works on existing roofs for historical buildings, including: Westminster Abbey, Durham Cathedral, York Minster and The Royal Courts of Justice. Our extensive range of services and skills are complemented by our commitment to first class customer service; so if you’re in need of reliable and professional metal roofing contractors for your next roofing project, look no further than JTC Roofing. Prestige Drives & Roofing are the premier driveway company in Leicester. 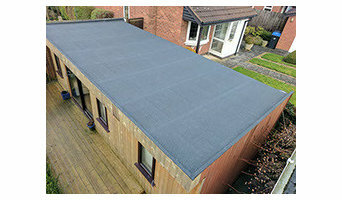 RK Roofcare is a family run business based in Nuneaton, Warwickshire. With over 25 years experience in all aspects of roofing, we work throughout the local and surrounding areas, covering Atherstone, Hinkley, Solihull, Coventry and Tamworth. We offer a range of services to domestic and commercial clients, including re-roofing a property, flat roofs repaired, leadwork, chimney pointing and reduction, gable, ridge and hip pointing. RK Roofcare also specialise in the supply and installation of Upvc fascias, soffits and rainwater products in various colours and profiles. Why should I hire Leicester, Leicestershire roofers to handle my roofing and guttering? There are a wide variety of materials available and your Leicester, Leicestershire roofers can help you decide which option is best. You might look at clay, slate or concrete tiles and your choice will depend on cost, the style of your home and the local roofing style. In the North West of the UK you will see a lot more slate tiling, whilst in the South East there is an abundance of clay roofs. If you are in a conservation area you may find that your choices are more limited and you may need to look for reclaimed tiles; local Leicester, Leicestershire roofing contractors will be knowledgeable in this area, so ask for their advice, too. How do I find good Leicester, Leicestershire guttering specialists and roofers? Search for Leicester, Leicestershire roofers and gutter cleaning specialists in the Find a Pro section of Houzz. Read their profiles, try to match their core skills with the problem in hand – some specialise in flat roof repair using roofing felt, others only work with roof tiles – and then see what previous customers have to say about their quality of service. Ask for personal recommendations from friends and family. Ideally your shortlisted roofing and gutter specialists or experts are members of the National Federation of Roofing Contractors (NFRC), the Guild of Master Craftsmen or the Federation of Master Builders (FMB). Each trade organisation demands a high level of expertise and imposes a code of conduct on its members. TrustMark is a government-endorsed scheme that independently assesses tradespeople and allows you to lodge a complaint if necessary – look out for that. Call them round for a consultation and make sure you request a written quote. Cheapest is not necessarily the best; more importantly, who can you work with? Find Leicester, Leicestershire roofers and gutter cleaning professionals on Houzz. 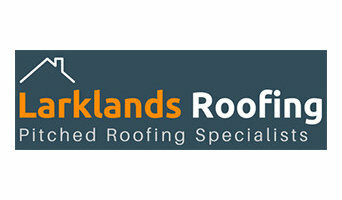 Narrow your search in the Professionals section of the website to Leicester, Leicestershire roofer or gutter specialist. 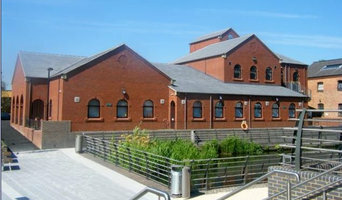 You can also look through Leicester, Leicestershire photos by style to find a roofing project you like, then contact the specialists or roofing contractors who designed it.